Music is fun, that much is established. You know what makes music more fun? A big ol’ vicious low-end sound that gets your body movin’ and rattles every window in your house so hard that the neighbors’ dog tucks its tail between its legs and sulks off to hide. 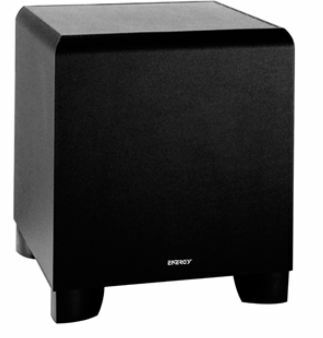 You can’t get that full, bass-driven sound without a subwoofer, and lucky for you, QuiBids currently has a bunch of awesome ones by Energy in stock. We ran the numbers on the last 29 auctions for them so that when the one that’s currently posted heats up in about two hours, you can go in with realistic expectations of what to spend! The first and most striking characteristic of these auctions is that the average winner saved $284.90. That’s pretty darn remarkable, considering this subwoofer’s priced at $299.99. You could get a pair and have a pretty killer in-home theater setup for under $40 if you approach these auctions the right way. In fact, only two winners saved less than $200 on these auctions, so we’ll go ahead and classify the Energy Subwoofers in the “Slam Dunk” category. Second, the average ending price was $2.06. However, I think it’s realistically a bit less than this. When you eliminate two unusually high outliers from the equation (auctions that ended at $11.05 and $8.41, both more than four times the average), the average ending price drops to $1.49. Another interesting thing I noticed was that zero auctions ended in the price range of $1.49—$2.06. They were all either much lower (in the range of mere cents to an even dollar) or much higher, suggesting something of an inverse bell curve pattern. Because of that I suggest getting aggressive earlier in the auctions, and try to scare people away before the price gets out of hand. Third, the average number of bids required to win a subwoofer was…53. So we advise you to make sure you’re willing to part with about that many bids in order to win this particular item. Do the math, and that’s just about $31.90, which is a pretty fair price for a brand-new subwoofer, don’t you think? Be sure to check out the interactive infographic we put together below!